In this persevering type prayer, She taught us the constancy and ardour of faith, so that we do not get discouraged when direct a petition to God. The Mother of God prayed and gave courage to the apostles to pray for the duration of nine days, in order to receive the most important and precious treasure for human life - The Holy Spirit. We need to learn to persevere because it is written in Ecclesiasticus 2,15-16, "Woe to them that are fainthearted, who believe not God; Woe to them that have lost patience" and James says, "But ask in faith, never doubting, for the one who doubts is like a wave of the sea driven and tossed by the wind; for the doubter, being double-minded and unstable in every way, must not expect to receive anything from the Lord." 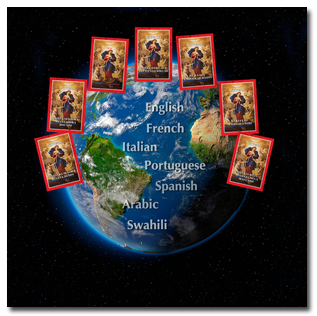 Presently the Novena of Mary Undoer of Knots is printed in 19 languages and more than 1.7 million copies were acquired. The Novena has the Cardinal ecclesiastical approval, receiving the "NIHIL OBSTAT and IMPRIMATUR". “LO TEDHAL Hospital” which is a Center of Therapy for Pain Control and Palliative Care. 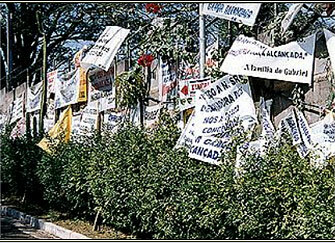 LO TEDHAL means, "Do not be afraid" (in Aramaic, which is the language of Jesus). 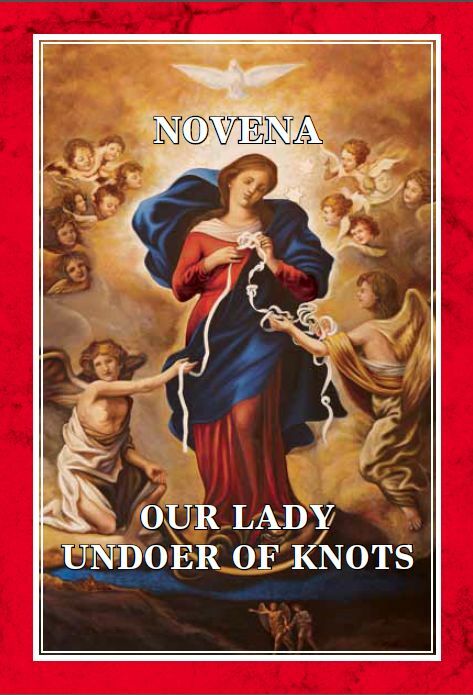 from Mary Undoer of Knots"